In fact, check out this tasty recipe that packs in 25 grams of protein. This hearty breakfast will delight your taste buds and help power up your energy and focus, so you can get more done throughout your busy day! In a large, heavy-bottom sauce pan, bring the water, 1/2 cup milk, Kamut, oats, nutmeg and salt to a boil over medium-high heat. Reduce the heat to a simmer, cover and cook until Kamut is tender and oats have softened, about 35 minutes, stirring periodically. (Add more water as needed during cooking to prevent the grains from scorching and sticking to the bottom of the pan). 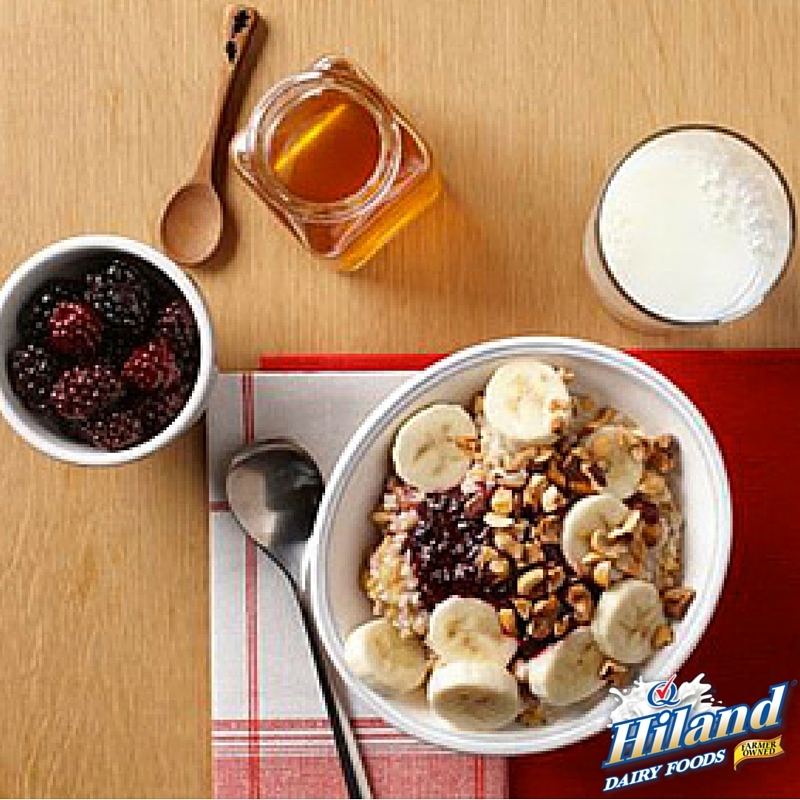 While the cereal cooks, combine the berries, honey and vanilla in a small bowl and coarsely mash with a fork. Divide cereal between serving bowls and top each with half of the banana slices and half of the toasted hazelnuts. Spoon some of the mashed blackberry mixture on top. Serve each bowl of cereal with an 8-ounce glass of milk.